This is the most visible of the modifications, since roofs are what we see when we’re operating on a layout. I’m pleased with how this project turned out. The three cars were quick to modify and I was able to obtain appropriate lettering from the Black Cat Decals line. While some discrepancies remain between model and prototype, they’re minor and I can live with them – especially since I now have three more CNR cars on the layout. 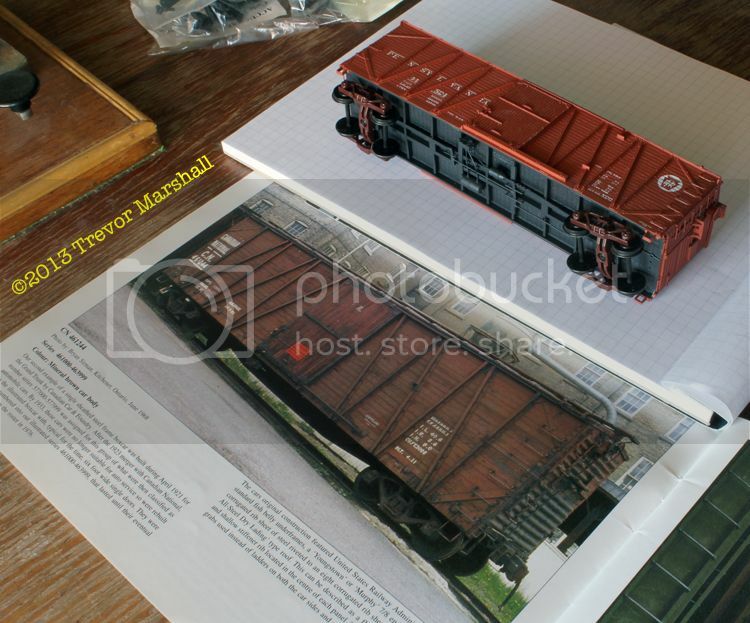 Already, they’ve made operating sessions more challenging since I cannot simply remember that “the Maine Central boxcar goes to the mill” – I have to pay more attention to the reporting marks. These are great stand-in cars. They’re far closer than some of the models commonly used as stand-ins for Canadian freight cars in HO (Proto 2000 52′ mill gondolas come to mind). 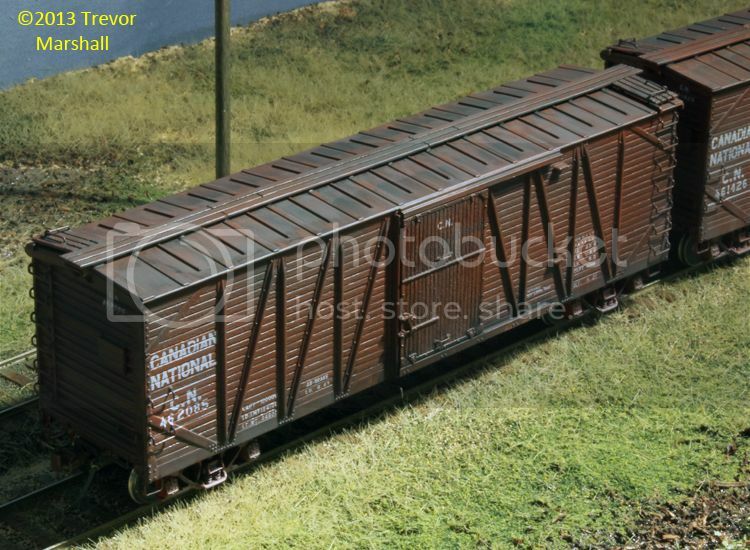 They certainly fit with the layout’s high degree of credibility by upping the home-road freight car population. Nicely done! Thanks Hunter – the irony being that there are so many great, accurate cars available in HO. If there had been resin kits for these cars, I would’ve done them in S instead of modifying these stand-in cars, but this is what I had to work with. I’m pleased with how they turned out. Nice addition to the fleet. You have captured the look of the CN cars very well. They look great on the layout. Those look very good Trevor and I know I am just repeating what others have said, but your work is fantastic.